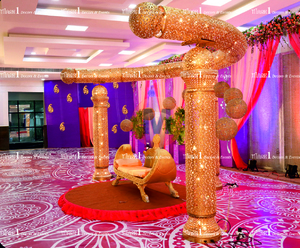 Mark1 Decor will be the destination for best wedding decorators in Coimbatore, Chennai & Bangalore. We stand proudly unparalleled when it comes to our specialty – Wedding planning and decor. From ethnic and classical to modern and contemporary, Mark1 provides a plethora of options to choose. We are passionate and excited to transform an ordinary pandhal into the Elysium that you dream of. With extensive resources at our hand, we have an in-house production with every material under one roof.